Dinosaur Family! Large Blue Dady T-rex and T-rex mama with babies. 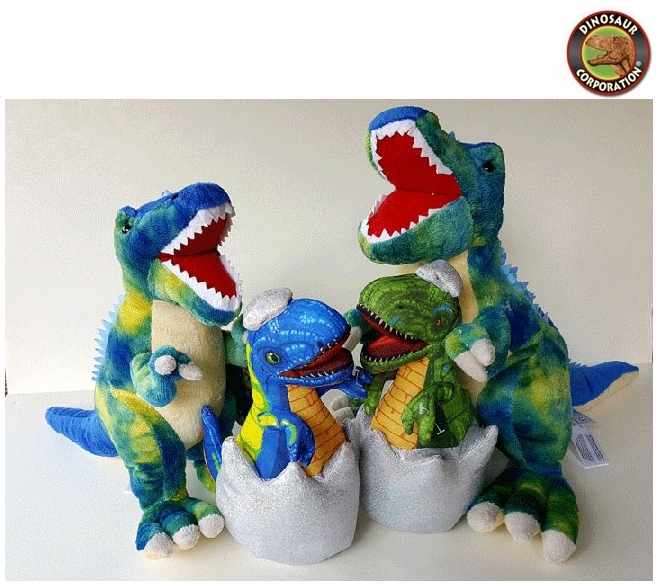 Cuddly soft T-rex plush toys are a perfect for kids loving everything prehistoric. Designed for everyday creative indoor and outdoor play.